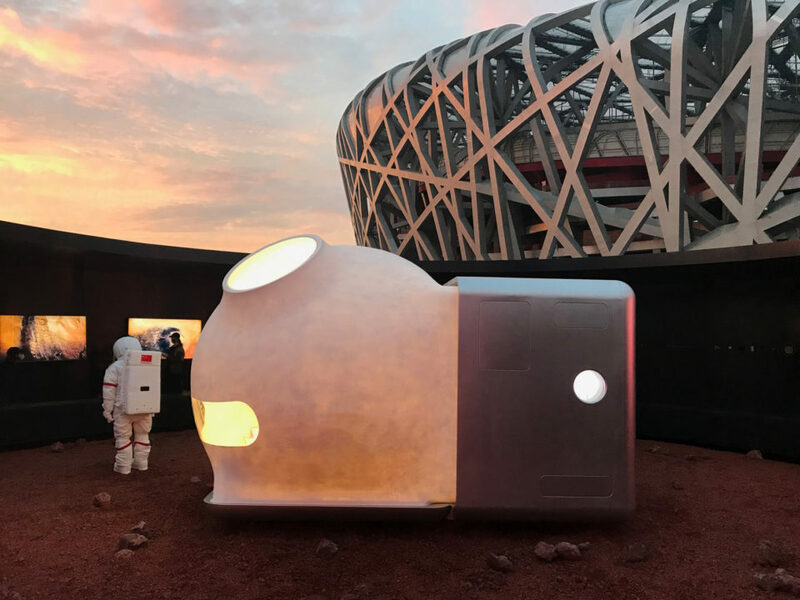 Designers were encouraged to think about elements like the sharing economy, artificial intelligence, energy consumption and communication while producing their full-scale prototypes. 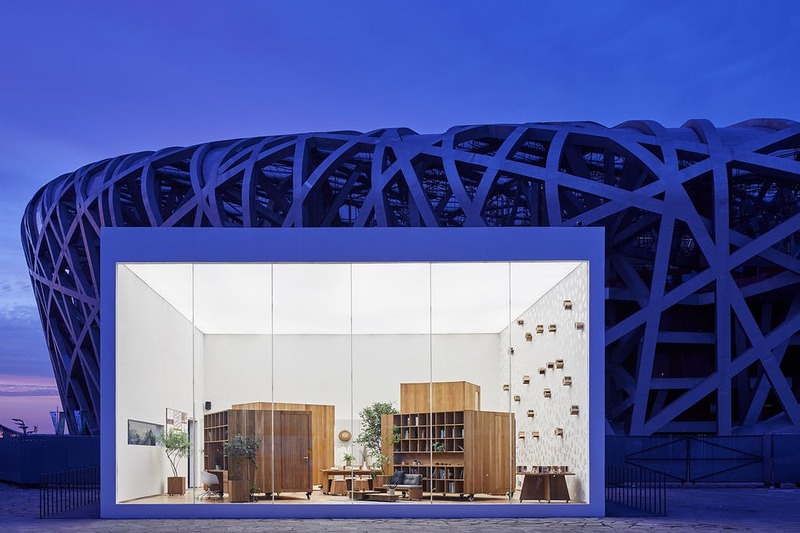 All ten models will be on display outside Beijing’s iconic “Bird’s Nest” National Stadium by architects Herzog & de Meuron through November 4th, 2018. How can you give multiple occupants of a single living unit more comfort and privacy without actually walling off any space for bedrooms? 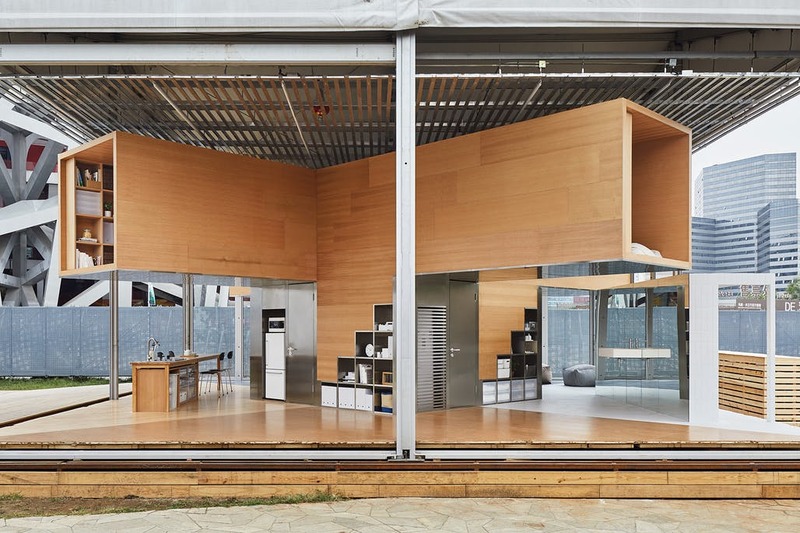 Japanese retailer MUJI teamed up with architect Go Hasegawa to find inspiration for a future shared housing concept within China’s history. In Shanghai, the upper floors of residential buildings are often a little too tall for single-story housing, but not tall enough to fit two levels inside. 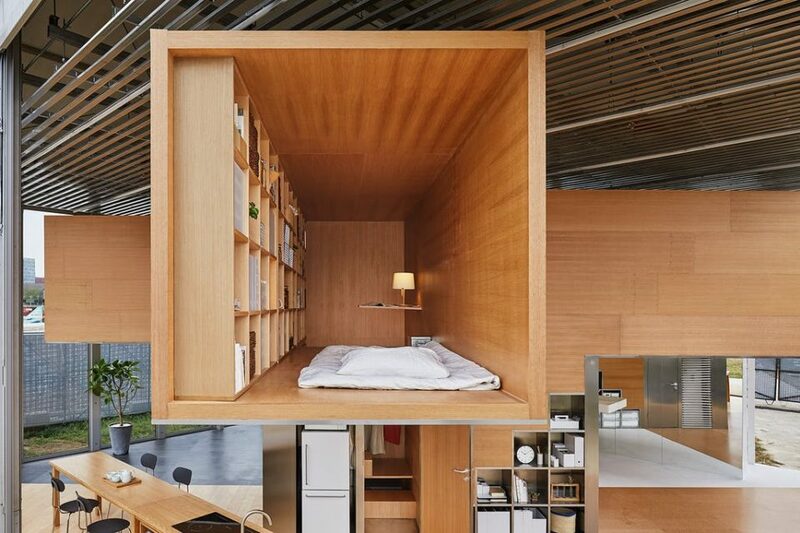 For spaces like these, the company envisions micro apartments for staff working at its Shanghai office, who are currently commuting up to three hours to get to work every day. The shared area is open and spacious, with amenities that are hard to come by for single occupants on a budget in a big city. There’s plenty of space for storage, relaxation, cooking, dining and bathing on the ground floor. 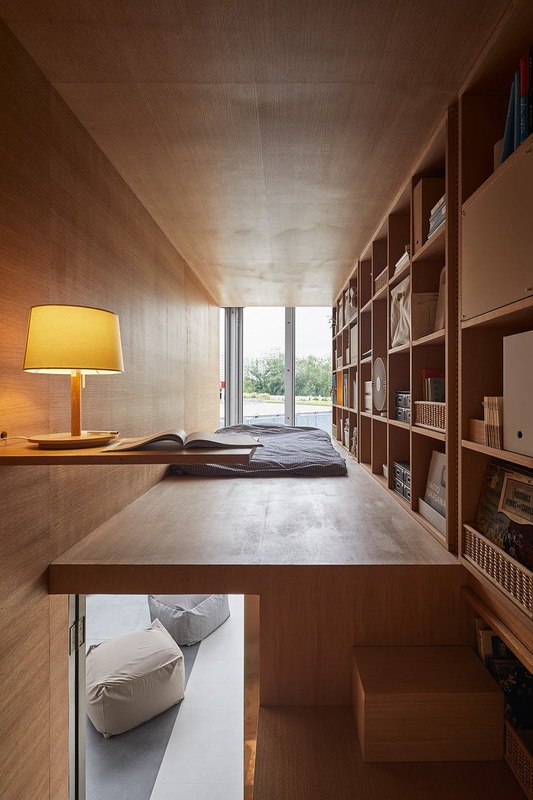 Meanwhile, private bedroom units are lofted up toward the ceiling in open-ended cantilevered boxes, allowing them to look out onto the city through the windows. Their orientation gives them privacy from each other and from the common space below. 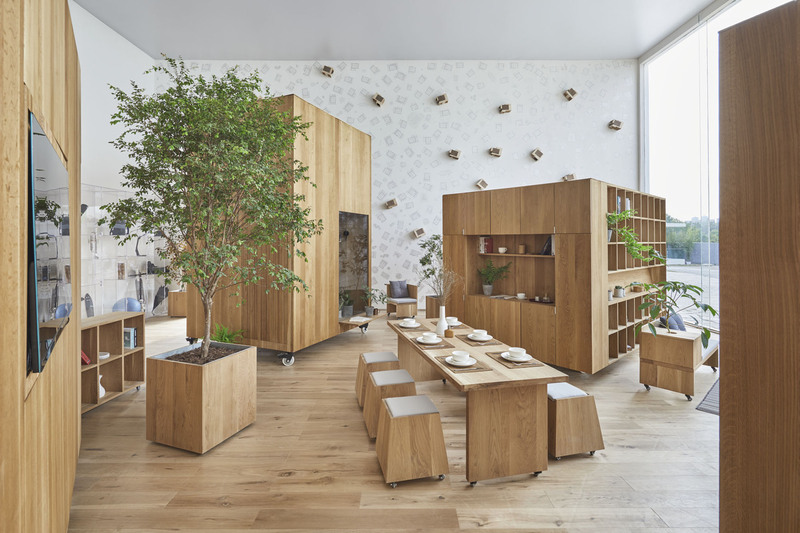 “Big Life, Small Footprint” is MINI LIVING’s motto, so naturally its contribution to HOUSE VISION is compact, innovative and playful. 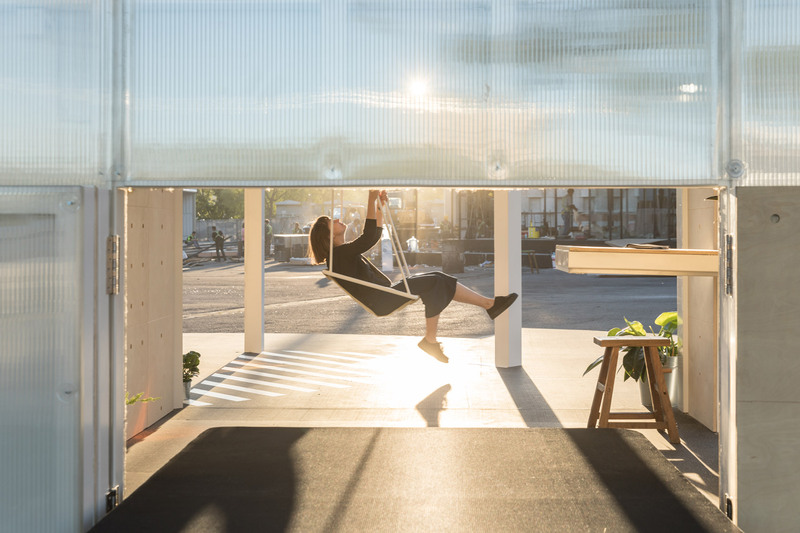 Within a surface area of just 15 square meters, the cabin explores how to create a sense of community in a small space while also maintaining maximum quality of life. Taking inspiration from China’s historic hutongs, which are residences arranged around courtyards and alleyways, the cabin features folding windows and tables that open or close the interiors to the outdoors, while protrusions on the roof channel daylight into the space. The golden mirrors give the oddly-shaped home a sunny disposition. 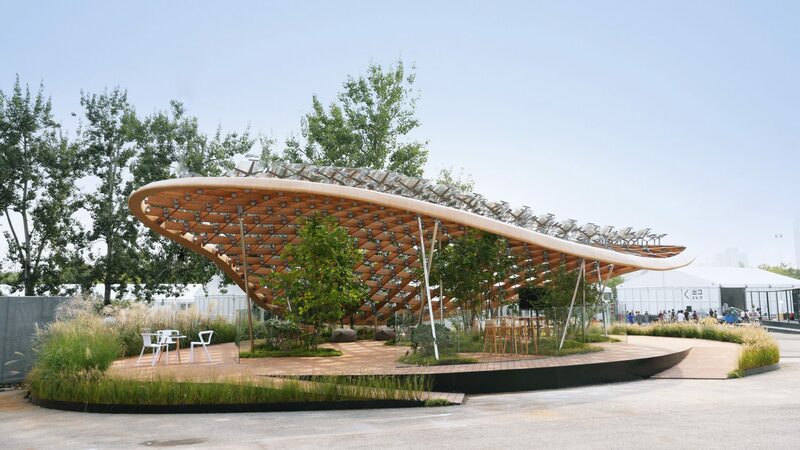 MAD Architects seek to ground us by reconnecting our daily lives to the outdoors. 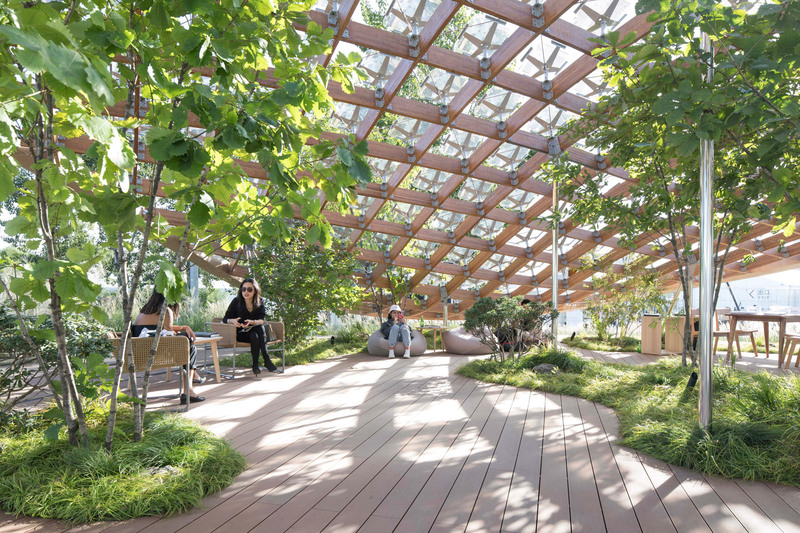 Their ‘Living Garden’ does away with enclosed interior spaces entirely, with floating, organically shaped roof dipping down toward the ground on one side to create a shelter. 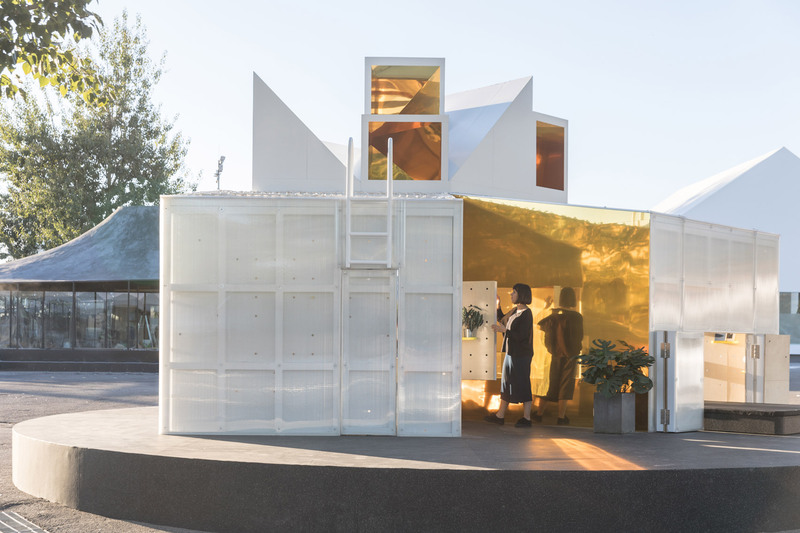 The roof is covered in translucent waterproof glass to protect the space from rain, and integrates enough solar panels to power the daily needs of a family of three. While this proposal is probably a little too open to be realistic as it is, it emphasizes some of the coolest aspects of tropical en-plein-air architecture commonly found in places like Singapore. Any building can remain infinitely reconfigurable when its interiors aren’t defined by doorways and walls, preserving its utility for a wide variety of occupants far into the future. BLUE Architecture Studio inserts wooden boxes into a large open space to add furniture, planters, bedrooms and other private areas, closets and more. If your needs change – say, you decide your kitchen could be a little bigger and you aren’t really using your second bedroom – you simply swap out some of the volumes for new ones, or expand the ones you have. No need to renovate or move. Plus, the volumes act like room dividers.